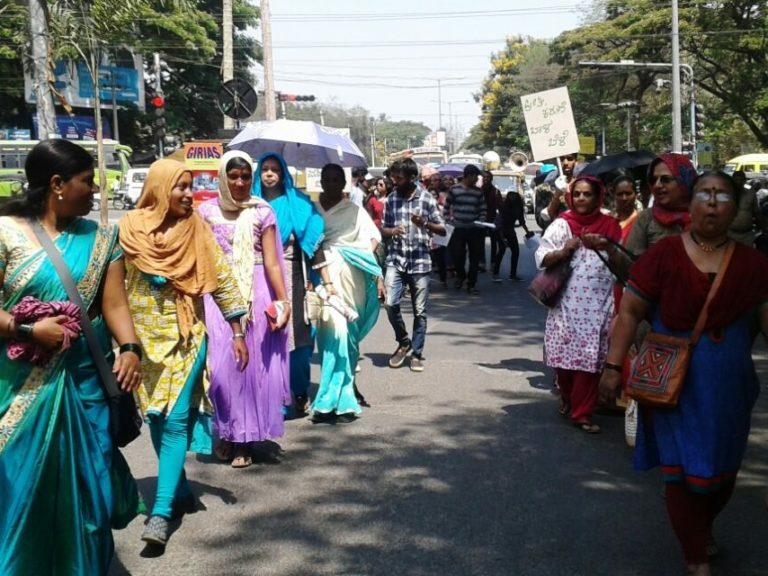 Here is a brief summary of several mobilisations in which peasant women joined other social movements to mark the International Women’s Day. 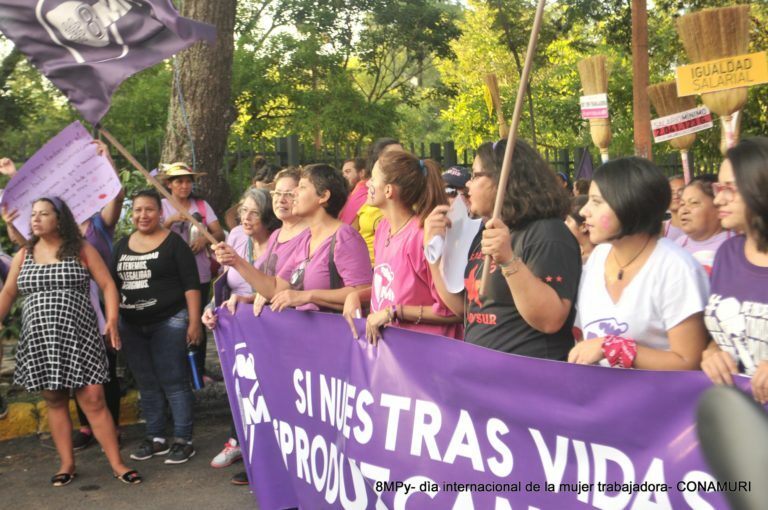 In Argentina, the women of the National Indigenous Campesino Movement, MNCI, took to the streets of Mendoza to denounce all forms of violence that affect peasant women, psychological, physical, economic, institutional and symbolic violence. In Paraguay, on the other hand, the women of the National Coordinator of Rural Women of Indigenous People, CONAMURI also mobilized to denounce the situation wherein more than half of the 1,300,000 rural women in their country live in poverty and 35% in extreme poverty. The “boom” of soy production in Paraguay and the consequent eviction of land only accentuates this problem. 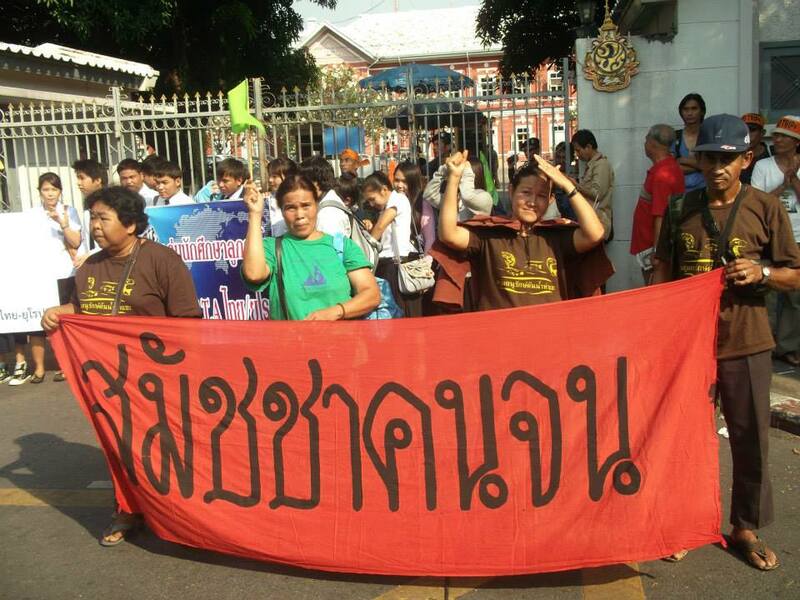 Several actions took place during the day, including the delivery of a Manifesto to the Ministry of Labor and Social Security that summarizes the demands of women. The recognition of peasant and indigenous agriculture was part of this as a fundamental demand, given the context of violence perpretated by industrial agriculture on peasant women. In Peru, in Tambo, in the Junín region, the National Federation of Indigenous Peasant Women, Native and Wages of Peru), FEMUCARINAP organized a regional women’s meeting, this past March 6, on the occasion of the International Day of Rights of Women. the woman. The National Agrarian Confederation, CNA, another member organization of La Vía Campesina in that country, has issued a position to point out the importance of the contribution of rural and indigenous women in the ongoing struggle for women’s rights. In Chile, in Temuco, women organized in the National Association of Rural and Indigenous Women, ANAMURI took advantage of this March 8 to make their voices heard against the TPP and the TPP11. “In times of assault on the national sovereignty, and to the dignity of the women and of the peoples that fight, we commit ourselves to continue fighting to stop the neoliberal and extractive advance on our territories, and especially in Latin America”, they affirmed. 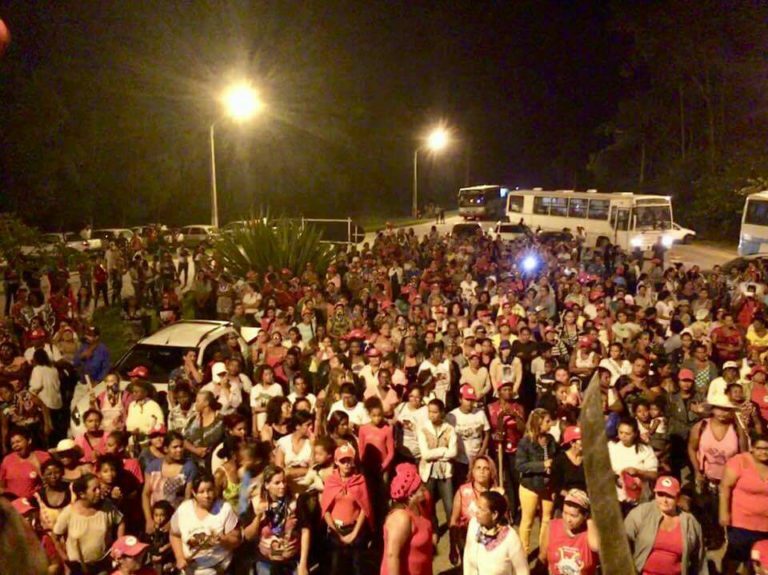 In Brazil, the women of the Movement of Landless Rural Workers, MST, issued a clarion call based on the famous quote of Rosa Luxemborg “Those who do not move, do not notice their chains” and mobilized in 24 states against the Coup, against the Social Security Reform, in defense of democracy, against the closure of schools in the countryside and the lack of agricultural incentives for production in settlements and the precariousness of health. In the state of Paraná, more than 700 women occupied the legislature. In the state of Bahia, in the far south, 1,000 women occupied a pulp mill, while in another part of this state, an equally important group occupied a monoculture area. Also in the state of Bahia, on March 12, an occupation was carried out this time by 300 women of the MST in São Sebastião do Passé on the site of the Petrobras company. The occupation denounced the coup d’état and attacks on the rights of workers. It was also intended to rebel against the privatization of Petrobras and the way in which the current government wastes the national wealth internationally. 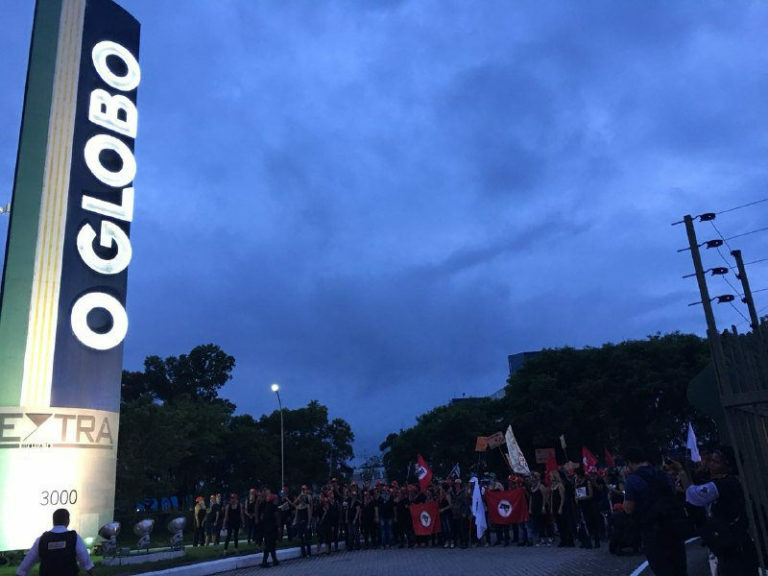 In Rio de Janeiro, 800 women from diverse popular movements occupied the newspaper O Globo to denounce the central role played by this group in the political and financial instability of the country and in the coup against President Dilma. 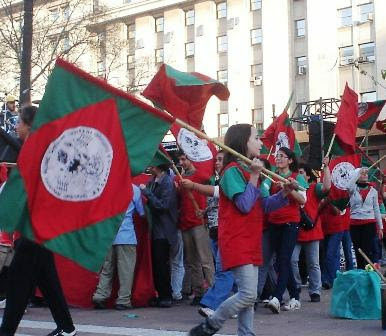 Marches were also held in Porto Alegre, Maceio. In Dourados, Mato Grosso do Sul, 250 women blocked the access road to a chemical fertilizer distribution company. Thousands of thousands of activists mobilized in this National Day of Struggle for Women Without Land, mainly, between March 8 and 10, but the actions were planned until March 20, this day about 600 women occupied the Nestle’s office, to protest against the privatization of water, just as the World Water Forum and the Alternative World Water Forum # FAMA2018 were being held in Brazil. In Europe, the call for the 24-hour women’s strike was a great success in many cities in Spain. 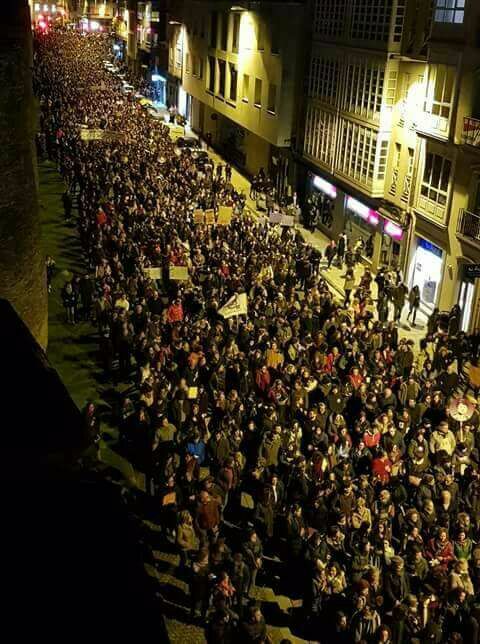 In Galicia, only in the city of Vigo, 40,000 people gathered in the anti-patriarchal and anti-capitalist strike. In Palestine, women demonstrated in Gaza on March 8 to remember the horrors of the Israeli occupation and its crimes against humanity. This occupation has caused many women and men to lose their lands, their cities, their lives. In Turkey, Ciftçi-Sen took over the call made by La Vía Campesina and translated it into Turkish to greet all the women who fight in the countryside and in the cities of that country. 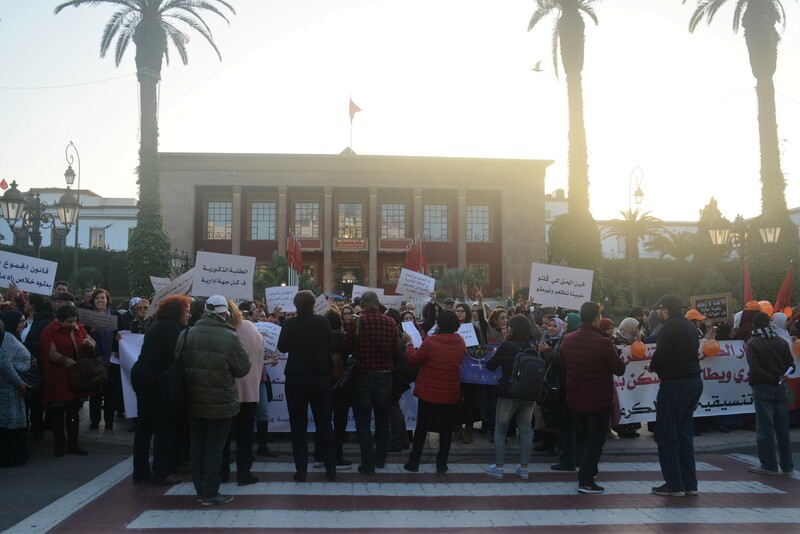 Moroccan feminist movements, organizations and activists demonstrated in Rabat, the capital of Morocco, to recall their most important and urgent demands and to invoke the militant and symbolic dimension of this day. well the day of struggle for the rights of women and not just a women’s day. 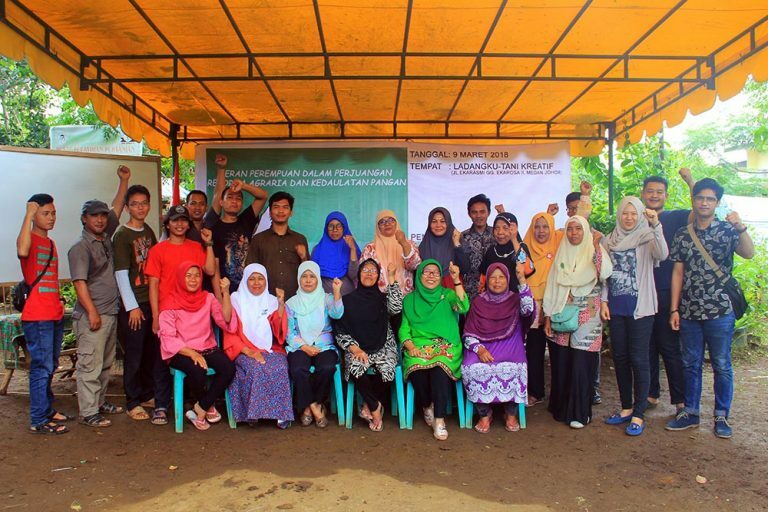 The women of FNSA, under the banner of their organization,participated in the event and distributed postcards of La Via Campesina with a message from the Women’s articulation of the LVC and introducing the concept of peasant popular feminism. We are happy with the good reaction of the protesters who enjoyed our postcards! In India, with the slogan “Sow the seeds of resistance” Young agricultural workers from our Agroecology school ‘Amrita Bhoomi International Center’ of La Via Campesina commemorated International Women’s Day by distributing packages of native seed varieties in the program jointly carried out by the coalition of social movements in Karnataka under the motto ‘Karnataka Mahila Dourjanya Virodhi Vedhike’ More power for our women! In Japan, on the occasion of the International Day of Women’s Rights, 600 women attended a meeting in the center of Tokyo, asking for working conditions, gender equality and conditions of equality food sovereignty. 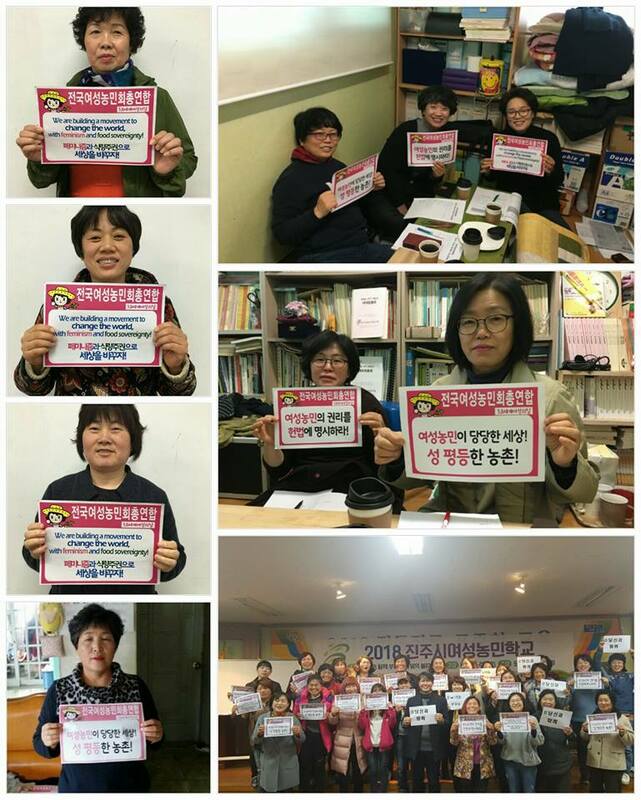 In South Korea, members of the Korean Association of Peasant Women sent a message of solidarity to all the women of the world. Check out slide-shows and videos on Via Campesina TV.